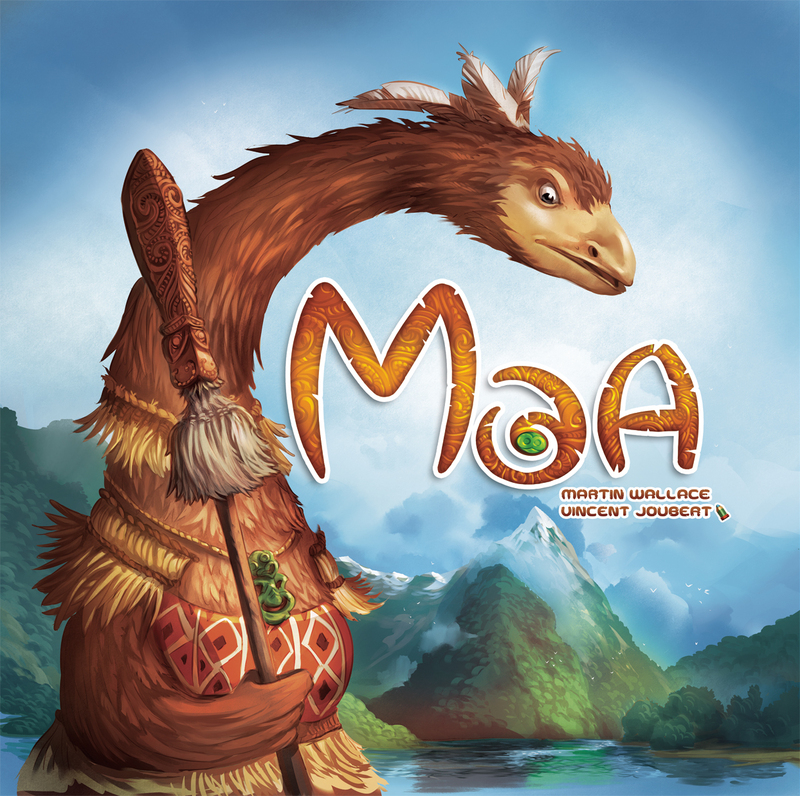 We’re super-excited to announce that APE will be publishing the next Martin Wallace game, Moa! In Moa, players control tribes of birds competing for territory in The Land of the Long White Cloud, while defending against wretched mammal invaders. Moa is for 3-5 players aged 14+ and plays in about 20 minutes per person. Watch for the Kickstarter coming later in April!